Gameplay-facilitating trainer for Pillars of Eternity II: Deadfire . This trainer may not necessarily work with your copy of the game. 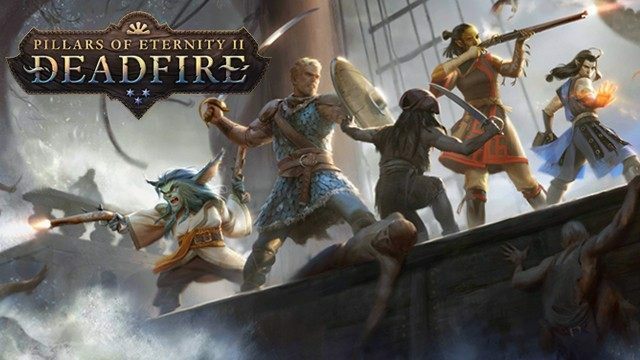 Available here: Pillars of Eternity II: Deadfire Trainer Trainer. Gold: Open your inventory first. Reveal Fog Of War: Press hotkey and the fog of war is revealed. Reveal Points Of Interest: Press hotkey and your party has discovered all points of interest such as traps. Kill All Enemies: Press hotkey to kill all enemies on the current level. This does NOT include friendly NPCs. Refill Ship Supplies: Press hotkey to refill your ship supplies such as ammo, medicine, etc. Unlock All Objects On Current Map: Press hotkey to unlock all locked objects on current map such as chests. Unlock All Achievements: While active open your ingame menu and click on achievements. Stealth Mode: While active your party is invisible to enemies. Freeze Time: While active the time will not advance. Maximum Reputation: Open your reputation screen first and press hotkey. Close and reopen to see changes. Please note that reputation has an impact on many things in the game. If you don't want risk anything use the editor to change a specific reputation only. Maximum Dispositions: Open your reputation screen first and press hotkey. Close and reopen to see changes. Selected Character: Open status screen where the character's EXP is shown. Press hotkey or use editor. Close and open the screen again to see changes. Disable Random Encounter: Whilea active random encounters are disabled. Unlimited Level Ups / Ability Points: While active you can level up your characters all the time. This way you can also learn all class abilities. Perfect Companion / Player Relationships: While active open the reputation screen of the character to set his relationships to a perfect status. You can change the value the trainer sets to the reputations by changing the editor values. But before you can modify the value you have to enable the cheats. Works only if there has been a relationship at all between the characters.